Dr. Lei joined the Petroleum Engineering Department, KFUPM as a Postdoctoral Researcher in September 2018. Before joining KFUPM, he was a postdoctoral researcher at Peking University from April 2016 to April 2018. He holds a Ph.D. degree in Petroleum Engineering from China University of Petroleum-Beijing, China (2015). Lei G., Li W., Wen Q. The convective heat transfer of fractal porous media under stress condition[J]. International Journal of Thermal Science. 2019, 137: 55-63. Lei G., Cao N., Liu D., et al. A non-linear flow model for porous media based on conformable derivative approach[J]. Energies, 2018, 11(11): 2986. Lei G., Cao N., Wen Q. Permeability prediction in roughened fractures under stress condition using fractal model[J]. Fractals, 2018. Lei G., Mo S.Y., Dong Z.Z., et al. Theoretical and experimental study on stress-dependency of relative permeability in porous media. Fractals, 2018, 26(02): 1840010. 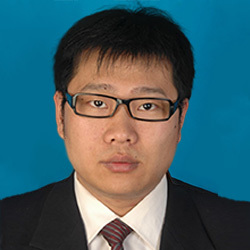 Lei G., Wang C., Wu Z.S., et al. Theory study of gas-water relative permeability in roughened fractures and fractured porous media. Part C: Journal of Mechanical Engineering Science. 2018: 0954406218755185. Lei G., Dong Z.Z., Li W.R., et al. A theoretical study on stress sensitivity of fractal porous media with irreducible water. Fractals. 2017: 1850004. Lei G., Dong P.C., Wu Z.S., et al. A fractal model for the stress-dependent permeability and relative permeability in tight sandstones. Journal of Canadian Petroleum Technology, 2015. http://dx.doi.org/10.2118/173897-PA.
Lei G., Dong P.C., Wu Z.S., et al. Multi-scale structures of porous media and the flow prediction. Journal of Natural Gas Science and Engineering, 2014, 21: 986-992. Lei G., Dong P.C., Mo S.Y., et al. A novel fractal model for two-phase relative permeability in porous media. Fractals, 2015:1550017.